10.45 PM, September 24th 1932. Party was in full swing inside the Chittagong European Club. At the entrance of this club hung the infamous notice – Entry of Dogs and Indians Prohibited. Suddenly nightly quiet of the Chittagong Hills was shattered with the sound of gunfire and bombs. A small group of 7-8 Indian revolutionaries from Masterda Surya Sen’s Indian Republican Army (Chittagong Branch) attacked the Club with light fire arms and bombs. As some of the club members were also carrying arms, a gun battle ensued. When gunfire from inside stopped, revolutionaries felt their mission was accomplished and prepared to leave. All the revolutionaries were unhurt and they believed that a number of persons inside the Club were dead (though the official figure was one dead and seven injured). As they were leaving, their leader asked one of them to pour Potassium Cyanide in her mouth. Why did she commit suicide at the hour of victory is still not very clear – but thus ended the short life of Preetilata Waddedar, the only lady to have died fighting against the British since 1857. As Bengal gets busy in Shakti –aradhana this week, I thought it is time to pay tribute to a small group of Bengali girls, who did not hesitate to take up arms to free the motherland. Women played an important part in revolutionary movement right from the beginning – but that was more of a passive role, providing shelter, carrying pistol etc. A group of daredevil girls changed that picture in early 1930s – eight decades later they are all completely forgotten. Between 1857, when the valiant young Rani of Jhansi fought against the British and the early 1940s when young girl cadets of Rani Jhansi brigade of INA under Laxmi Swaminathan marched alongside their male colleagues through South-East Asia and Burma to India’s North-East, there were exactly three incidents of girls participating in armed operations against the British. On December 14, 1931, two school girls – Shanti Ghosh and Suniti Choudhuri, belonging to the famous Jugantar group shot dead District Magistrate of Kumilla (now in Bangladesh), Mr CGB Stevens. Both the girls were just 14. They were caught, beaten up badly but spared the gallows because of their age. They were released after seven years in prison. But the most famous of them were two Chattogram girls – Kalpana Dutta and her one year senior Preetilata Waddedar. 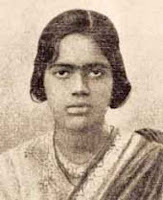 Masterda, who led a veritable armed insurrection against the British in Chattogram in 1930, had decided that the attack on the Club would be led by a girl as a sort of symbolic gesture. But Kalpana, who was marked for this role was caught by the police just two days before the planned attack, thus providing Preeti with this golden opportunity. 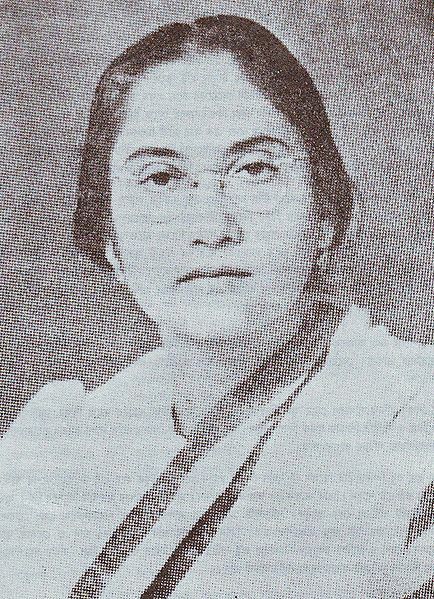 Preetilata Waddedar was born in a lower middle class family of Chattogram town – her father was a clerk in the local municipality. She did well in Dr Khastagir High School and then joined Eden College, Dhaka for IA. She also joined Deepali Sangha of Leela Roy in Dhaka. She stood first among girls and overall fifth in the IA exam. 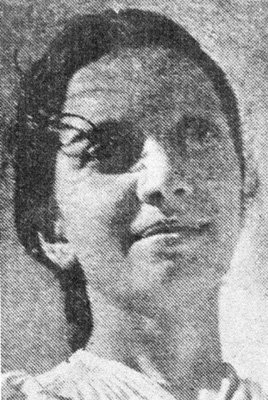 Her results fetched a scholarship for her and enabled her to join Bethune College in Calcutta for BA. In Calcutta too she maintained her close links with the revolutionaries. She was entrusted with an unusual job during this time – she was asked to go with a forged identity and meet Ramakrishna Biswas at Alipore Jail. Biswas was waiting to be hanged for murder of a high-ranking Bengali official. In a few months leading up to his hanging, Preetilata met Biswas around 40 times and he left a deep impression on her. After her exams she came back to Chattogram. She wanted to leave her family behind but was forced to take up a job instead to support her parents. She joined local Nandankanan Girls High School (now Aparnacharan Girls High School) as the head mistress. Once when she was staying at a safe house along with Masterda and Nirmal Sen, another senior leader of the group, police suddenly encircled them and a gunfight broke out. Though Masterda and Preetilata managed to escape, Nirmal Sen died in the fight. Within days they launched their attack on the Club. Why did she commit suicide? Someone said she wanted to make a point that girls were not afraid to lay down their lives for the country. But a number of others believed that Preeti fell in love with first Ramakrishna Biswas and then Nirmal Sen and of course saw both of them dying – the emotional impact was perhaps too much to handle for the 21-year old girl. Her best friend and fellow revolutionary Kalpana, who was incinerated for a long time following her arrest, fell in love with another comrade Ramakrishna Dastidar. Ramakrishna was hanged alongside Surya Sen in 1934. But since Ramakrishna’s body was not handed over to the family, she kept on waiting for a long time, hoping someday Ramakrishna would be back. Later on Kalpana, then a member of Communist Party of India, married its former general secretary P C Joshi. Her daughter-in-law and well known political journalist Manini Chatterjee wrote a book on Chattogram revolutionaries a few years back – Do and Die. A recent Bollywood movie based on the book Khele Hum Jee Jaan Se, starred Deepika Padukone (as Kalpana Dutta). No one had the time to celebrate Preetilata’s birth centenary earlier this year. 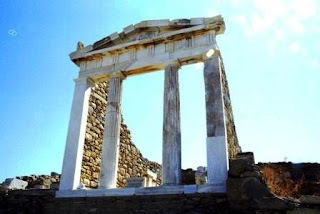 In modern times, Greece as a nation state has defaulted only 5 times – 1826, 1843, 1860, 1894 and 1932. Some of these defaults lasted quite long, for instance the 1932 default shut Greece out of international market till the early sixties. 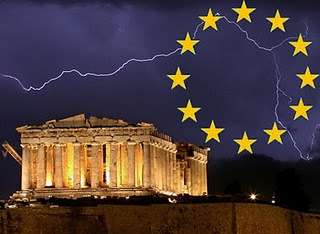 Roughly Greece has been under default for 90 years or 50% of the time since its independence in the modern era. Quite enviable record – we must concede. As it seems, history sometimes does repeat itself – at least the Greek tragedies!!! This is an unprecedented time in Indian history when a large number of important national issues from reservation controversy to major corruption scandals, from environmental pollution to Ram Janambhoomi – are being increasingly settled in court rooms across the country. Recently when debating on the Lokpal issue in the Rajya Sabha, leader of the opposition Arun Jaitley sarcastically commented that too many lawyers were advising the Prime Minister, the irony of the situation was not lost on any one. Not only Jaitley himself is an eminent lawyer, there was a preponderance of lawyers on all three sides – government (Chidambaram, Sibal, Salman Khurshid, Pawan Bansal), Opposition (Jaitley, Sushma Swaraj, Ravishankar Prasad) and the Jan Lokpal team (Shanti Bhushan, his son Prashant, Santosh Hedge). In many ways, founding of High Courts in 1861 along with the coming into effect of Macaulay’s famous codes (though drafted in the 1830s, the codes fully came into effect in the 1860s) heralded a new era of justice and fair play for ordinary Indians. With the passage of time higher judicial system has been extended and strengthened by various means, most importantly by the founding of the Supreme Court in 1935. 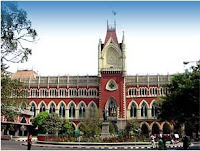 As the High Courts of Calcutta, Bombay and Madras celebrate their 150th anniversary this year, it is perhaps time to look at the interplay of Courts, men of law and politics in early modern India. Though there were British courts in all three presidencies from at least late 18th century, the present system of High Courts came with the 1861 Act. It was part of an overall effort by the British government to reorganize Indian administration as they took over from the East India Company as a consequence of 1857.Though announced in 1861, three High Courts actually started functioning from 1862. Since then ordinary citizens of this country have consistently shown an unshakable faith in our judicial system. Modern, organizational politics in India emerged largely out of the corridors of law courts. Around 35% members of two main pre-Congress organizations in Calcutta – Indian Association and Indian League - were lawyers. Same was true for Bombay, where three prominent lawyers Pherozeshah Mehta, K T Telang and Badruddin Tyabji founded the Bombay Presidency Association. 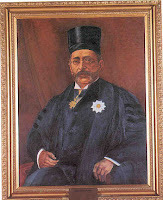 The other prominent figure was of course Justice Mahadev Govind Ranade, who founded the Puna Sarvajanik Sabha. Even as the Indian National Congress replaced these early organizations, the situation did not change much in terms of leadership profile. Not only was the first President of Congress a barrister – W C Bonnerjee, but more than 1/3 participants in Congress annual sessions in initial years were lawyers. In fact the situation reached such a stage that in many district towns there was hardly any difference between the bar association and the district congress committee! Founding fathers were to be followed by generations of legal luminaries, who dedicated themselves to the national cause. Both Motilal Nehru and Chittaranjan Das - two of India’s top lawyers quit their profession in 1921 following Gandhiji’s call for non-cooperation. Both the first President and Prime Minister of India were lawyers and so were Pakistan’s first Governor General (Md Ali Jinnah) and Prime Minister (Liaquat Ali Khan). A large number of distinguished members of the Constituent Assembly were lawyers, whose best legacy is perhaps our glorious Constitution. A special mention must be made of two non-Congressmen Nehru graciously invited to join the first cabinet – Ambedkar and Shyama Prasad Mukherjee – though from different ends of the political spectrum – both were lawyers. And of course the father of the nation – Mahatma Gandhi, who was trained as a barrister in Inner Temple and called to the bar on 1891. After two failed attempts to establish himself as a lawyer in Bombay and Rajkot, he left for South Africa in 1893 to work as a lawyer and the rest is history. On the face of it Jaitley’s criticism is unfair - not only today but in the last 150 years, lawyers have always dominated Indian politics. But the real sense of his criticism is true – a political problem needs a political and not legal remedy. Unlike today, lawyer-politicians of pre-independence period did not believe in deciding public issues in a court of law. The very first modern political movement originated from the debate surrounding power of Judges. In 1883, Law Member of Vice-regal Council C P Ilbert proposed that in districts Indian Judges may be given the power to try British citizens – this prompted an outcry from English newspapers and pressure groups. In reply Indians took to the street and organized public meetings in support of this Bill. Though the government ultimately was forced to compromise but the Ilbert Bill agitation was the first lesson in modern political mobilization for Indians. Location of High Courts could act as a magnate for attracting talent and give a boost to urban growth – best example of this were Patna and Allahabad in North India. Some of the greatest social reformers and educators of that period were also associated with the Judicial system – in North India, - again from two different ends of the spectrum - came Sir Saiyyid Ahmed and Pandit Malviya. 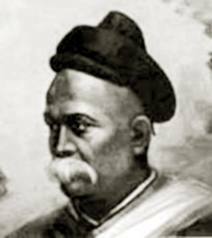 Similarly in Maharastra the most remarkable reformer was Justice Ranade, who also founded Prarthana Samaj. 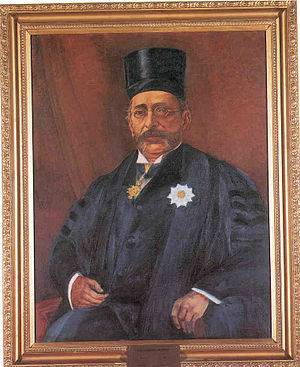 A number of judges and lawyers were associated with social reform and Brahmo Samaj in Calcutta, including the very first Indian High Court Judge, Sambhu Nath Pandit (appointed in 1863). 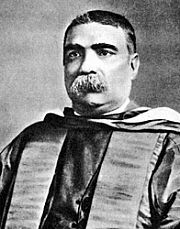 Most of the early Judges were prolific founders of educational institutions but the lawyer most revered as an educator was the first Indian Vice-Chancellor of Calcutta University, Sir Ashutosh Mukherjee(father of Shyama Prasad). We have seen how early Courts have touched our lives in many spheres other than law. Let us conclude with an anecdote regarding High Court and growth of media – the appointment of Sir Muthuswamy Iyer as the first Indian Judge of Madras High Court in 1877 created a furore. In the face of vicious attack from the British-owned press Indian leaders realized they needed a voice of their own and thus the famous nationalist newspaper, The Hindu was born!